Google can’t really tell you the answer, but we do! If your boss asks you:” Hey, we are going to hold an international conference or meeting next year, you are in charge!” You may be in over your head now, so what should you do and what kind of company should you ask for help? When it comes to holding a meeting, most people unconsciously link it to PR Companies. Just as there is a chef for cooking delicate cuisine, meetings and conferences should also be handed over to Professional Conference Organizer (PCO). With skillful abilities of resource integration and communication, PCO assists the organizer in holding and organizing various kinds of conference. If we describe a good conference as an exquisite dish, then PCO will be the chef with great responsibilities. The chef will bring out a mouthwatering cuisine only if takes care of his skills and quality of ingredients. 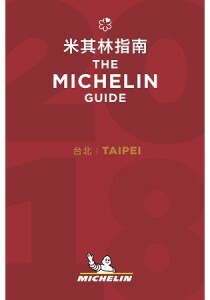 The first Taipei Michelin Guide published in March this year. Gourmets have a new iconic dining reference. However, restaurants can be visited and reviewed by mimics, but you can’t really do this during meetings and events. So, what should those who are worried about holding meetings do, how do they choose the right PCO? This article includes best guides for choosing PCO which could help you find your cooperating partner step by step. First, we must consider why should we hold the conference? According to the theory of Golden Circle, the right order of doing one thing is to think about why we do it, how we do it and what we do at last. However, people tend to think conversely. Maybe it’s because they just want to get things over with or do for formalities, very few people can clearly explain the purpose of doing what they do. Therefore, the situation that the result comes in significantly below the expectation happens again and again. This theory can also be applied to holding a meeting. Before choosing PCO, you should ask yourself what the purpose and goals of the conferences are. It helps you understand the situation further after considering thoroughly. In addition, ideas can be conveyed more effectively when communicating with PCO and the event can be held in the right direction that matches up to expectations. It is a good start to choose PCO from Meeting industry (or MICE) association/society members. Being an association/society member means that the company is acknowledged by the reliable organization. The credibility and quality of the company are promised. Members can interact and learn from others regarding professionalism and business on these platforms. Together, they boost the development of industry and provide better service to clients. After having a bucket list, you can find reviews or portfolios on the websites of PCO. It is believed that reputation and numbers can be part of your references. A smooth conference seems normal, but details are countless. Venue arrangement, agenda, backdrops and so on all have to be designed in details. PCO’s experiences and how they deal with details will be the key point of a successful event especially in large-scale international conferences which are usually with more than a hundred people. In addition, the more experienced and closer relationships PCO have with suppliers (venue and device, etc. ), the more effectively can they get things done. They are also able to get better qualities with reasonable prices and find a right answer for clients within the budget. The background and attribute of PCO are also important points to consider after reading experiences and evaluations. Each PCO has its own area of expertise. It is recommended to choose a company whose expertise and tone are related to the event. Choosing the right partner not only increases the effectiveness of the event but foster the better corporation during the execution period. When above elements are confirmed, it’s time to make your meeting remarkable and effective! If your company is tired of meetings that stuck in a rut or rolls their eyes at the endless cycle of speech, meeting and social banquet, why not take a glance at Meeting Design imported from Europe? It’s a new way to design meetings. It’s also a thinking strategy starting to boost the effect of meetings and find the real core value of events. Through the innovative design, people will be astounding that events can be undergone in such a different way. Your meetings and events will be unique and effective only if you are willing to break the Meta. Meeting Design is the key trend of future MICE industry. It starts with the participant “experience”, analyzes the real need of organizers and precisely delivers the core value of meetings which increases the effectiveness and efficiency of meetings. Meeting Designer tailors an unforgettable event for customers and makes every moment of meeting meaningful. In fact, the concept of finding a right PCO is similar to looking for a lover. Only when the body, mind and soul are all in sync with each other, can you come out a result which both are satisfied. Good luck!